Held at the fabled Suzuka Circuit in Japan on November 17, BH Auction will play host to what is possibly the greatest garage clear-out ever! To be fair, it’s not just the old bloke’s shed down the road, but the garage of privateer racing team ‘Team Taisan’. With a racing career spanning 37 years, the team has been both a mainstay and an icon within Japanese circuit racing. They won the Japanese Sports Car Championship for three consecutive years, from 1985 to 1987. They were also JTCC (Japanese Touring Car Championship) champions in 1989, and took out the JGTC (Japanese Grand Touring Championship) in 1995, 1996, 1998 and from 2000 to 2003. With such a diverse background in motorsport, there’s an equally diverse offering of cars up for auction. 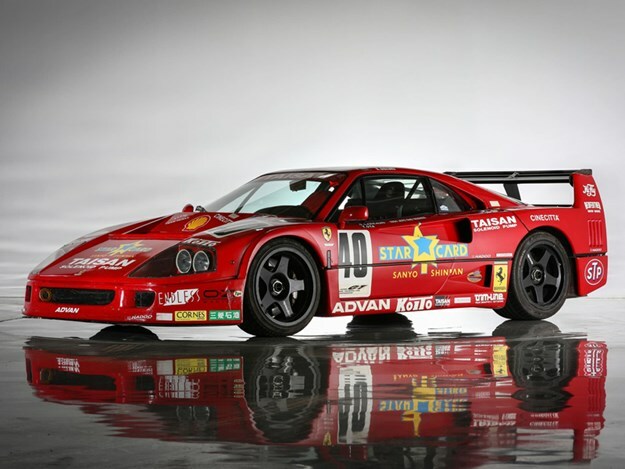 Headlined by a JGTC-spec Ferrari F40, estimated to fetch between AUD$795,000 to AUD$900,000 – it actually seems rather reasonably priced considering a normal road-going F40 will set you back well north of a million dollars. The F40 in race-ready guise probably won’t meet a roadworthy inspection, but BH Auctions do state that the car was built out of a road-going F40, and still bears its original VIN. It could feasibly be returned to the road, however you’ll need plenty of determination and a wallet to match. Another headliner for the sale, is a Group A 1991 Nissan Skyline R32 GT-R. A near twin to the Group A Godzillas that lurked Mt Panorama that same year. 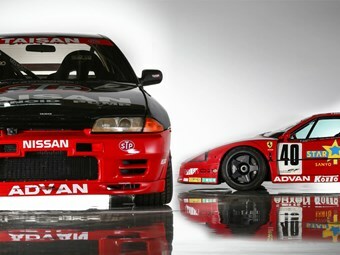 North of the Phillipine Sea saw the R32 GT-R equally as prominent in the Japanese Touring Car Championship. This car later took part in the 1991 Macao Grand Prix with the Australia Nissan Team. Pre-auction estimate for this overseas Godzilla is set between AUD$450,000 and AUD$580,000. Amongst the many Super-GT, GT3 and Porsche GT race cars, there are a few oldies there too. 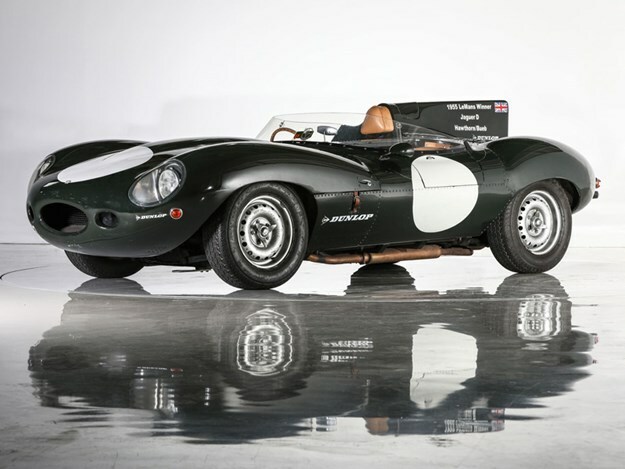 There’s a 1964 Jaguar D-Type Reproduction, a faithful replica of the 1955 Le Mans winning vehicle, and a chassis by Reynard. Estimate is between AUD$45,000 and AUD$95,000. 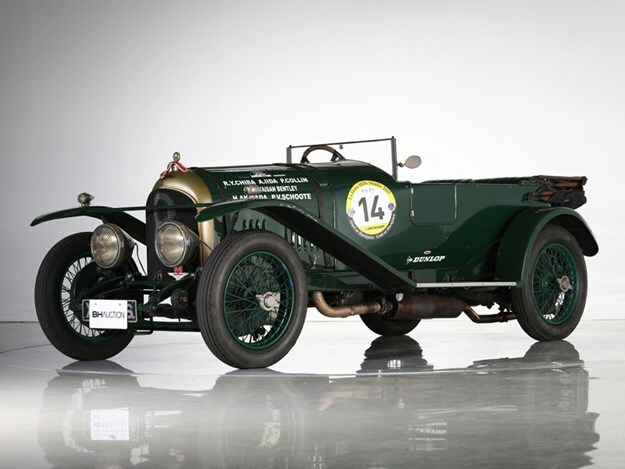 The oldest car of the sale is a 1924 Bentley Speed 3.0. It participated and appeared at the 2005 and 2006 Le Mans Classic, and took part in the Mille Miglia in 2014 and 2015. Estimate is set between AUD$300,000 and AUD$420,000. Arguably the better part of the sale, are the parts on offer. In need of a spare Ferrari F40 engine? Well there are two for sale, along with a swathe of battle-scarred racing wheels and body panels that would surely dress up even the manliest of caves. The Auction will take place at Japan’s Suzuka Circuit on November 17, coinciding with a public event called "Suzuka Sound of Engine".